Chair Seat : Upholstered in a black square grid patterned fabric. Chair Back : Black moulded polypropylene & perforated for ventilation. 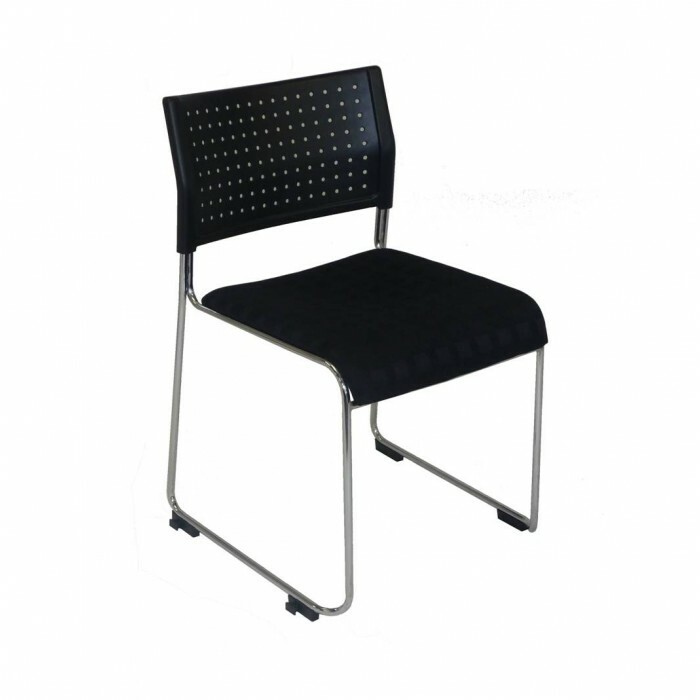 Chair Frame : Chromed tubular steel. Ideal for : Meetings, training, events, lectures and as an office visitors chair. Price is 1-7 day Show Rate only (excluding GST and freight).